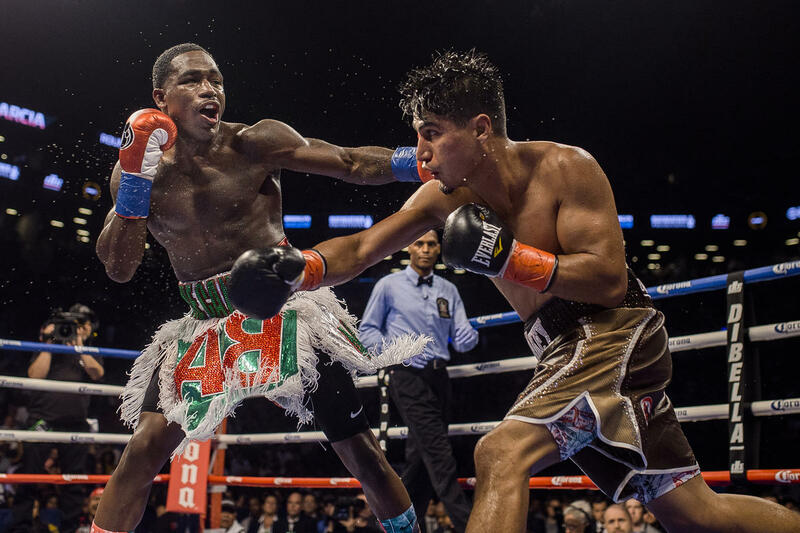 Even though Mikey Garcia (37-0, 30 KO) was the winner, this article focuses on Adrien Broner (33-3, 24 KO). For Garcia’s outstanding performance is shaded by the fact that it appears that anyone can beat Broner at this point in time. Broner’s Mayweather likeness is all appearance with no substance. Yes, he stands in the half-guard defense, but there is no shoulder roll. His punch output is low, but he is not even a counterpuncher. The evidence would suggest that Mike Stafford, Broner’s trainer, is not a proponent of the shoulder roll defense, so Broner essentially does something in the ring that he just sees on television from Floyd Mayweather, without any real instruction. Basically, Garcia did what he wanted. He punched at will while Broner backed up into the ropes with a high guard that left his body wide open; and even beyond that, the guard itself was penetrable through and around the guard. Garcia nearly doubled Broner’s punch output and he is not himself known to be a high volume puncher. 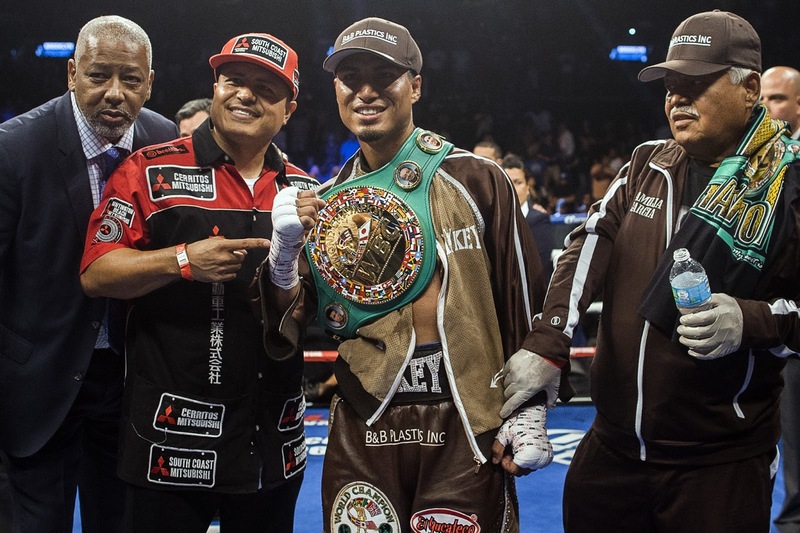 Garcia stated afterwards that his plan was to be active to limit Broner’s offense. Once again, Broner is not a counterpuncher; he just postures as if he is. Even the unanimous decision for Garcia was still generous to Broner; for they misleadingly suggested that Broner won multiple rounds. With his jab, Broner resembled Andre Berto – fast hand speed, but inaccurate measure of distance, and failure to throw anything behind the jab. When Mayweather used the high guard against Pacquiao, e.g., he shielded his chin and his body by pinning his elbows to his ribcage. With Maidana, Mayweather used a high guard at distance, purposely exposing his body, to tempt Maidana to lean in with a jab to he body while he countered up top. Broner stands with a high guard with his elbows flared forward, body exposed, but in range to get hit to the body, fully accepting punishment to the body for the sake of covering his head. At one point in the last round, Broner moved forward against Garcia with his high guard, allowed Garcia to throw many punches, and literally waited for Garcia to stop throwing to catch him during a brief lull while he was not expecting anything. When in the high guard, Broner’s shoulder are square in addition to his elbows being held high, therefore Broner slaps with his jab and right hand while in this posture. But most importantly, Broner does not have any boxing fundamentals and performs at the level of a novice. Broner relies on his athletic ability alone. It is fair to say that anyone who throws a lot of punches, and can also take punch, will defeat Broner by outworking him at the very least. The optical illusion is that Broner presents as though he would look good if he were shadow boxing; he would be more impressive than Mikey Garcia because of his hand speed and technique. So when he is terrible in the ring, it is really because Broner does not understand what he is doing. 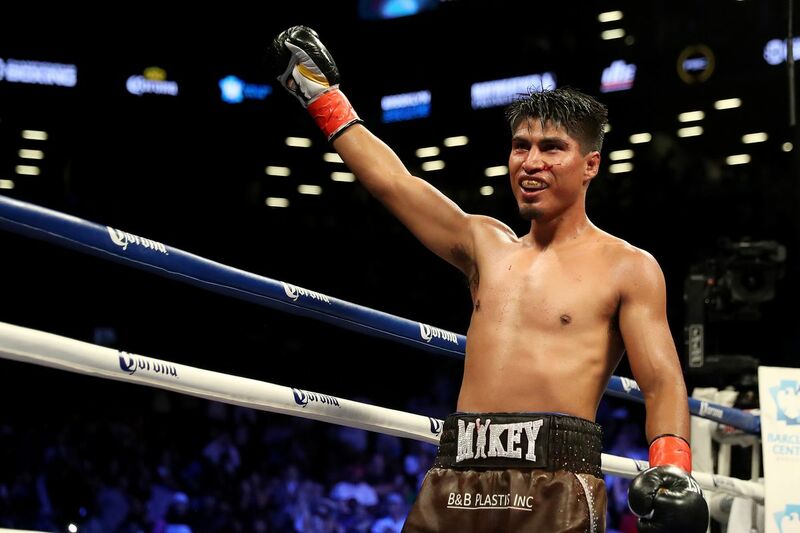 Garcia has expressed that he can move back down to lightweight for a unification with Jorge Linares or Vasyl Lomachenko, otherwise he would likely be staying at 140 pounds or handpick a smaller welterweight opponent who had previously fought at 140 pounds.